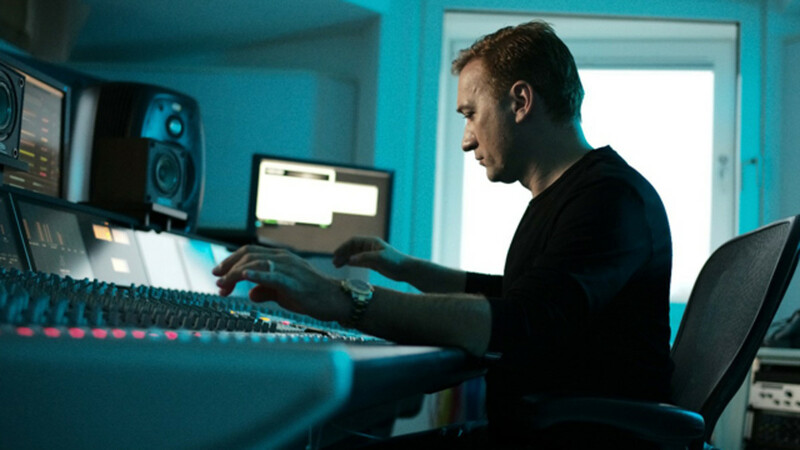 After debuting his new album, From Then On, at AEON in New York City, we had the honor of sitting down with the legendary trance DJ and Producer Paul van Dyk and getting the inside scoop on his DJ career, new music and his take on the EDM scene. EDM.com: Was DJing always something you wanted to do as a kid? Was this how you pictured your future or were you pursuing a different career path? 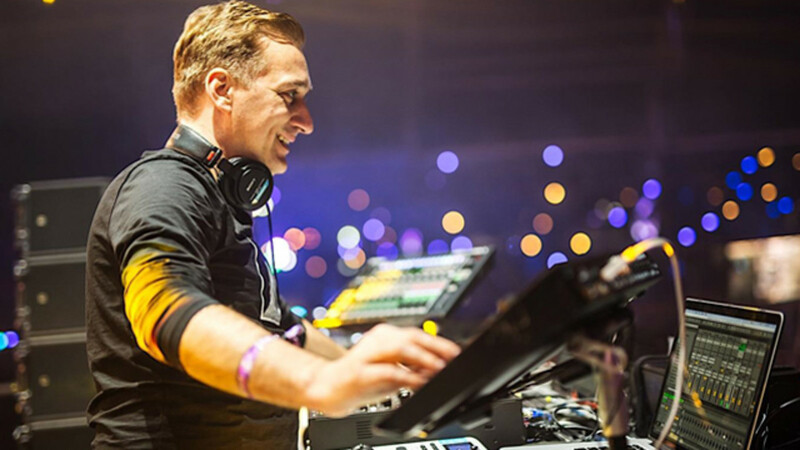 Paul van Dyk: When I was a kid, DJing wasn’t kind of like, you know, a job and such. I grew up in East Berlin, in East Germany, so I was listening to the music through the radio and that’s actually something that got me into music. And then when I went to all the clubs after the Berlin Wall went down, I thought, wow this is really awesome. Then I had a very clear idea about the music I really like. So I started to find it in record stores and kind of make mixtapes, as we called them back in the day. And this is how I started. It wasn’t really about looking at it as a career because I remember days where I had one Deutsche Mark and I was thinking, okay, am I going to eat or drink something today, or am I actually saving it for the next two, three days and buy that record on Friday? So there was no such thing as making a living off it. That came somewhat later, so I never pictured it when I was a kid. To me, it was always about the music, about that passion for it and the drive that the music has. And then I kind of went on to do this in a more professional way. So you said you listened to the radio to learn about it, what about learning and discovering music really inspired you to go do that as a career? When I was listening to the music it kind of opened up a whole new world to me. It created that energy and that passion that’s sort of like a substantial and vital part of who I am. And yeah, it just basically happened. I developed my taste in the music, what I really like, what really reaches out to me. So I started making it as well and I started DJing and because my music was so different from everyone else, obviously it kind of created a bit of a, we would say “buzz” these days. That’s when I did my first interviews, got my first DJ bookings and this kind of stuff. And when I realized I liked to play this music and to kind of see the direction of the audience and feedback of the audience and the interaction, this is when I decided, that’s what I want to do, and then for quite a long time I did both. I actually did two apprenticeships. One was as a broadcast technician and the other one was as a carpenter. I did the DJing and making music and the carpentry all at the same time until a point that it was simply not possible for me anymore to be in clubs four, five in the morning and at seven in the morning doing some tables or something. So I had to make a choice and I chose what I liked more. That makes sense. So random question, do you play any instruments, if not which one would you like to learn? Well, I play a little bit of guitar, but not very good. When I was a kid I was a big fan of the band called The Smiths and this guitar player, Johnny Marr, was outstanding and I wanted to play like Johnny Marr, but I was in East Germany. I went to this music school to learn guitar and they made me play East German chide songs. You can imagine that wasn’t really inspiring so I never became good at playing the guitar, but it gave me the basic idea of chord structures, of the scale and all this kind of stuff. And these days I’m quite good at playing piano things and stuff like this. Everything that you can drive through keyboards, of course the piano. Yeah, you use that in your music. So why electronic music, what attracted you to it? I think there’s multiple things. One thing is generally and, again there’s so many genres in electronic music as well, I don’t really like all of them. There’s certain elements that I like and it’s the positive drive to it. It’s the depth it has as well. I’m not really a fan of this over-cheesed out stuff. You know it’s something that kind of gives something to me. And that’s what I like about it. 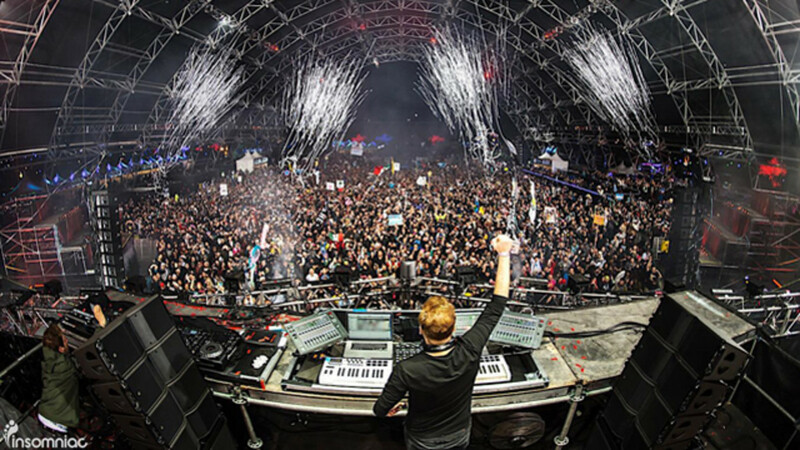 A good piece of electronic music never tells you the whole story. I don’t need someone singing to me, telling me this is a really sad love song. I either feel it or I don’t. And I want the musician to actually do everything they can to make me feel it. And that’s the music I enjoy. That’s the music I like and that’s why electronic music is the one that I find the most inspiring. I go to concerts and when they play, the emotion that I hear them play, it’s just like woah. It’s that drive. You listen to something and it kind of like puts tears in your eyes. You get goosebumps. This is what I want. I don’t really need xyz singing something to me and telling me what they felt at a certain point in their life, that they probably didn’t even feel because somebody else wrote the song. What do you think of EDM in Europe as compared to America? 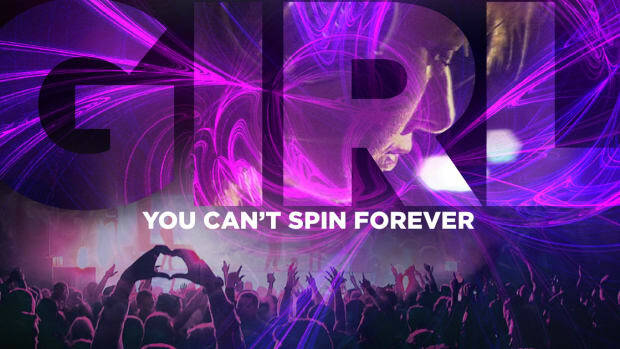 I think this is really about how we define what EDM is. Is it an overall term for everything that’s electronic dance music? Then I think it’s as healthy and as diverse and beautiful as it can get. If you call EDM what the majority of the people say is the music subgenre of electronic music that has the same sounding cheesey stuff, then this is nothing that ever appealed to me. It’s not down to me to judge any of it because there’s obviously a lot of people liking it, but it’s certainly not coming out of my radio. Yeah, on the radio they play all these artists that sound like EDM, but it’s not. That’s the thing, it’s really difficult because so many people have a different understanding of the term itself. Let’s put it this way, to me electronic music always had that sort of extra effort to reach out to you as a listener. To drive you. It didn’t go the easy way. And let’s say the “danceable pop music,” as I call it, or maybe even call it an audible marketing plan because that’s what it is. It’s like a marketing team putting this person together with this person. Somebody else is the songwriter and then they make a big campaign out of it before you even hear music. That’s EDM in the US. And that’s something obviously that, from an artistic point of view, is nothing that I find challenging. But then again, if you say EDM as a broad term, like this is rock music, this is EDM then, that’s because that’s what it essentially is. It’s electronic music and it’s usually danceable. So it’s electronic dance music. If you call it that and everything is in it, there’s so many amazing things. Like, I like the techno boom as an example, but then again what do you call techno these days? It’s something else from what they called techno ten years ago. But I like this minimalistic approach to it as well and the boom that it actually has. It’s very inspiring because it leaves a lot of room. And in order to make it interesting, a minimal techno track, you need to be creative because you only have those few elements to kind of sparkle. And on the other hand, of course my favorite music is a trance-related sound where it’s really about musicality, where it’s about chord structures, where it’s about making things sound otherworldly almost. And at the same time have that amazing drive. That’s what I find interesting about the music. 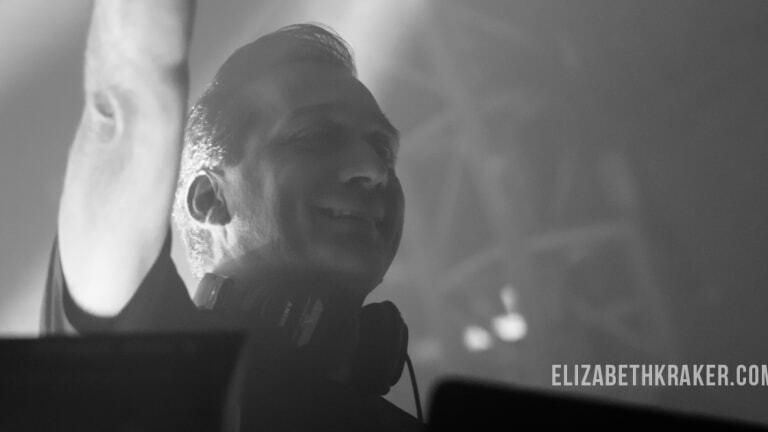 So you’ve been in the electronic music scene for close to thirty years, what do you think of it now as compared to back in the 90’s? Again, it’s always very subjective. What I call electronic music might be something else for others. But the point is, to me, it’s still the best music in the world. I totally understand that a lot of people in the world enjoy it, I think it’s the best music in the world. I think everybody should listen to it because it’s so great, but then again there are certain aspects of the music, there are trance and tendency and subgenres that are not mine, but that’s totally fine. Otherwise we’d be all the same too. I love what I do. I’m very passionate about the music I listen to. I can be tired of some things. Like in the moment I hear a good tune and I’m like, “Ah!” I don’t know, it’s just what this music does to me, so I’m loving it every bit as I did in the beginning. Do you like how there are big festivals now as compared to back then and the whole performance of it? This is something that is really interesting, especially in the US. I really wonder why there’s such a big cover over the big festival culture you had, like in the 90’s as an example. I remember playing in Los Angeles in front of fifty thousand people in ‘95. There was no mainstream media, no mainstream anything. It was just a few dudes with a weird taste of music and a lot of other dudes out there enjoying it. And the thing is there seems to be no recollection of it. 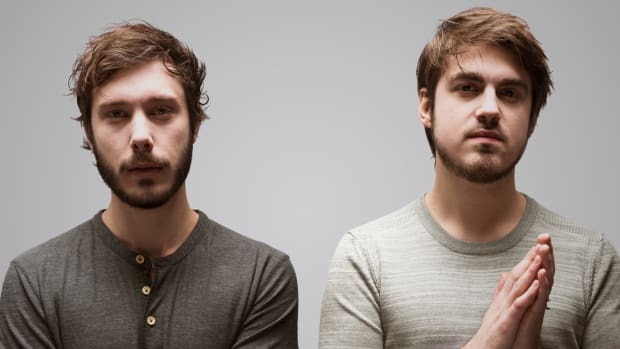 It’s as if EDM or electronic music in the US started in 2010 or something. But there’s so much more. People forget the Chicago house culture, the Detroit techno, everything New York actually did to our music. Or like how the amazing scene for all these years happened in Florida. You know one of the first clubs that actually brought international DJs into the US was a place called Firestone in Orlando. It was kind of a “must be.” In a little town, Gainesville, Florida, there was a club called Simons. 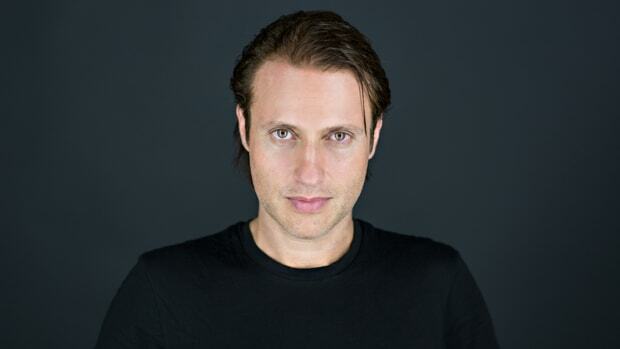 Every single DJ who had any meaning to electronic music went through that little club. And it’s stuff that seems to be totally forgotten. So it has been there for a long long time. I like playing at festivals as much as I like playing more intimate venues. Because, to me, it’s always about, first, having a clear idea about my music without any compromises. That’s what I am as an artist. That’s what I present. But it’s always down to the interaction with the audience too and that’s obviously always very different from a festival where you have forty thousand people in front of you versus, let’s say two thousand people in a smaller venue. It’s a different interaction, but it’s just as intense and important and it’s part of the feedback and interaction of the audience, regardless of where it is. It’s a shame that people just see it now as something really, you know, big with the festivals and they forget that. To be honest I didn’t really know that they had big festivals back in the 90’s so much. Absolutely. I mean they weren’t really called festivals. They were just kind of like, I think they called them raves. And since we’re in New York, there were like huge events. Like indoor events like convention centers and like big hotel areas and stuff with like ten, fifteen thousand people in the middle of Manhattan. From my understanding, a key theme of one of your new tracks, “Stronger Together,” is community and togetherness. So what was your motivation for creating that track? I assume you heard that I had a near death experience with a bad back accident and the thing is, I was more dead than alive. And without a joint effort of my wife, my friends and family, the whole team, all the positive energy that was sent to me by people that enjoy my music from all over the world and the medical team, without all that togetherness, I wouldn’t have been able to pull through. So we are clearly stronger together. If you have somebody at your side, it helps tremendously to go through whatever obstacles there are in life. And if you have somebody at your side that you love who’s worth fighting for, then you can go through things that are otherwise inhumanly heavy. And these are the things that all come together for me in the meaning of “Stronger Together.” If you look at the bigger scale, it’s not a secret that I’m politically active and involved and I’m interested in these things. If you look at the world, how everything becomes more and more nationalist and drifts apart, you know in the US, in Europe. All these places suddenly think they can survive on this planet separately. But just take the environmental issues. One single country can’t solve any of that. If the US is leaving the Paris Treaty then it’s bad for all of us. If Japan isn’t joining, it’s bad for all of us. If Europe suddenly pulls out, it’s bad for all of us. We’re only strong when we are together. And that’s the whole thing about “Stronger Together” on a very personal level as much as on the bigger scale. You played songs from your new album at AEON, what’s it like performing new music before a crowd for the first time? Do you ever get nervous they won’t connect with it? I have almost like a recording studio on stage. That’s what I do and a lot of these tracks actually are inspired back home in my studio. But obviously the composing and things like this, they develop when I play elements of it live. So I already kind of know what can work and what doesn’t work. And so it’s not necessarily a big surprise, but I can tell you it’s always the most amazing feeling as an artist if you play something that you know they don’t know and they go totally bonkers. And I like this, because this is essential as an artist. I make my music without any compromises, but it’s also my aim to make the people who listen to my music understand why it is this way. Why it means so much to me. Why I think this is relevant and if that relevance crosses over. It’s the best thing an artist can achieve and that’s great. It’s very exciting and so far, people seem to be very good on the receiving side of my music. 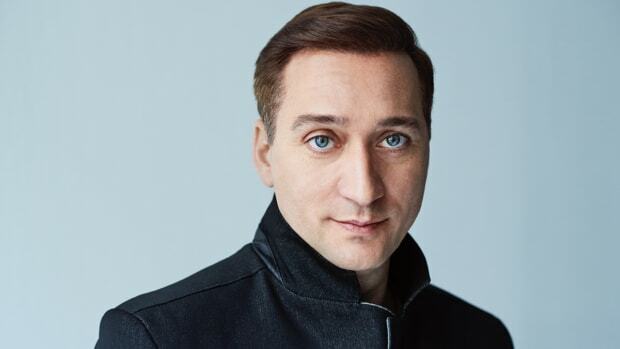 From what we could see at his live performance of From Then On, Paul van Dyk’s new music is definitely being received positively. 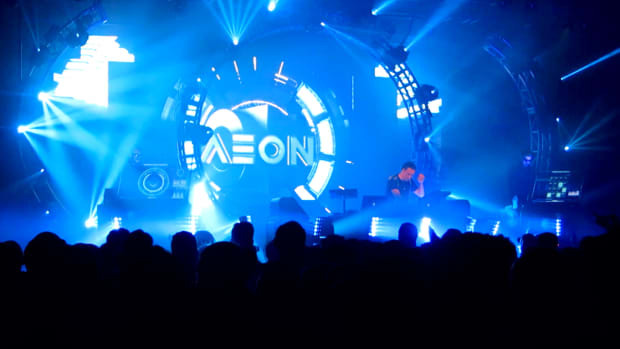 If you couldn’t attend AEON By Paul van Dyk NYC, we got you covered with our review on the event. Be sure to check it out! 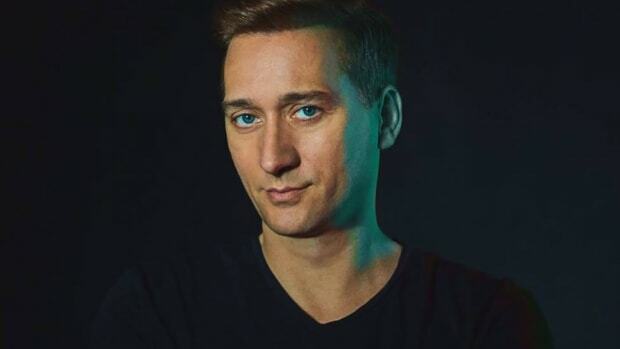 Special thanks to Paul van Dyk for taking the time to chat with me! 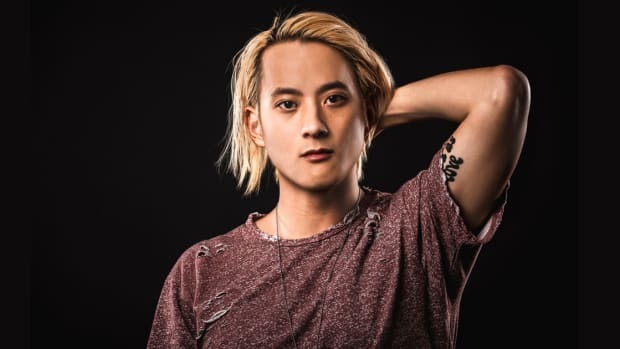 It was pleasure learning more about you and your music and we can’t wait to see your performance at Dreamstate SoCal at the end of November!